(Sonni’s note: I read this article today. Look at the date. It was written seventeen years ago. Do you think there has been any positive change or has the problem has only got worse? There are so many people who don’t pay attention because they don’t think it affects them. But it does. It affects everyone. It affects the job market, it adds to the greedy nature of many of our leaders in government. It affects our communities and the way we think about those people. The media brainwashes people into thinking that somehow black people has less quality than white people and they deserve to be locked up because they are a danger to society. If you, or anyone you know has that attitude, be sure to send this article to them. Post it on your social media pages and reblog it onto your own blogs. If you go to the pages section near the top of this blog tap on the menu button. 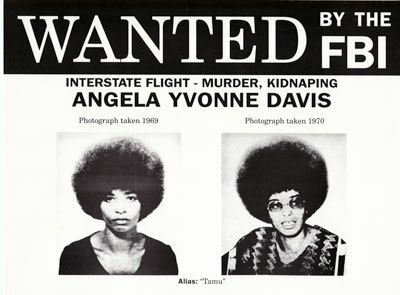 You will find a YouTube video of a more recent TED talk of Angela Davis. Read this entire article. It’s worth it. It says everything I’ve been trying to explain over and over. We need more people who think this change is important to our society and to our country. Although prison labor — which ultimately is compensated at a rate far below the minimum wage — is hugely profitable for the private companies that use it, the penal system as a whole does not produce wealth. It devours the social wealth that could be used to subsidize housing for the homeless, to ameliorate public education for poor and racially marginalized communities, to open free drug rehabilitation programs for people who wish to kick their habits, to create a national health care system, to expand programs to combat HIV, to eradicate domestic abuse — and, in the process, to create well-paying jobs for the unemployed. Angela Davis is a former political prisoner, long-time activist, educator, and author who has devoted her life to struggles for social justice. I Wanted to say thank you. I few things passed me by last week when I couldn’t get behind my computer. I think I forgot to say thank you. A few things passed me by last wee.